See this grin? That’s me, sharing creative works and ideas with you, and a cup of tea. Ann guides peers through the writing, editing, publishing and word-of-mouth marketing of both fiction and non-fiction titles. A professional writer since 1981, she opened her own award-winning home-based marketing firm, vIDEAn Unlimited, LLC, in 1996. 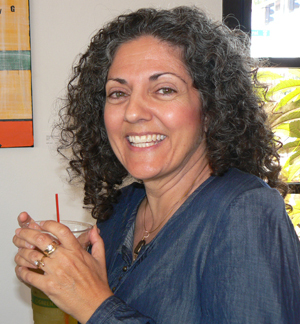 She has served as an editor for corporations, visionary entrepreneurs, and national publishers. She is also a novelist and is just starting a new business—Absolutely Wild! Enchanted Faerie Portals & Other Whimsy—inspired by the Fae characters in her Song of the Ocarina novel. She composed and recorded an original music soundtrack to accompany her first novel Rhythms & Muse. Ann showed up in this world with a pen in her hand, a song in her heart, and the desire to share with you. She adores creativity of all types, and especially the people who live it. She “gathers” friends like flowers, including authors, musicians, and artists. The Colorado native lives in Mesa, Arizona, with her husband, two-grown-up children, and numerous invisible friends including mythical creatures and story characters. In 2016, Ann wrote and illustrated Absolutely Wild! Enchanted Faerie Portals Coloring & Creative Writing Pages, inspired by the Fae characters in her first sci-fi/fantasy novel Song of the Ocarina. Her 2014 fantastical adventure Song of the Ocarina, is book 1 in the Delfaerune Rhapsody series. It tells the story of Lark, a New Zealand teen, who discovers she’s the “Maestra” in the realm of Delfaerune, and the only Noble Fae with the musical prowess and Earth connection to save humans from Dark Fae magic. She’s up against mythical creatures and Dark Fae who pattern themselves after burned-out rock stars. Ann is also the author/singer/songwriter of a 2011 women’s fiction novel Rhythms & Muse, along with its complementary soundtrack of five original songs inspired by the story. You’ll follow Grammy-winning vocalist Alex on her journey toward fulfillment when dreams guide her to forego her glamorous, yet stressful, Hollywood lifestyle and return to her roots and first love in Coeur d’Alene, Idaho. Lightly hopping above the touchstones of words, music, and village – fueled by tea and coffee – your faerie muses are delightful. The Rhythms and Muse samples at Amazon recall to me your performance at Coeur d’Alene Senior Talent Night, smooth, clear, emotionally reverberating… ~enchanting~. Pappy’s Pizza and that horrible green shag carpet; the pizza was good though, and the company was great.